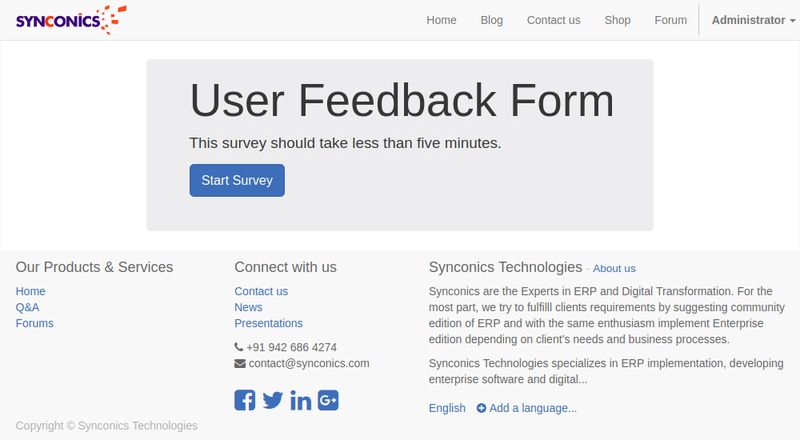 SURVEY | Synconics Technologies Pvt. Ltd. Drag & drop editor: Use our premade building blocks to structure your survey. Edit inline: Edit your surveys by adding your text and graphics in real time directly within the editable content of your building blocks. Swiftly amend any typos or mistakes! 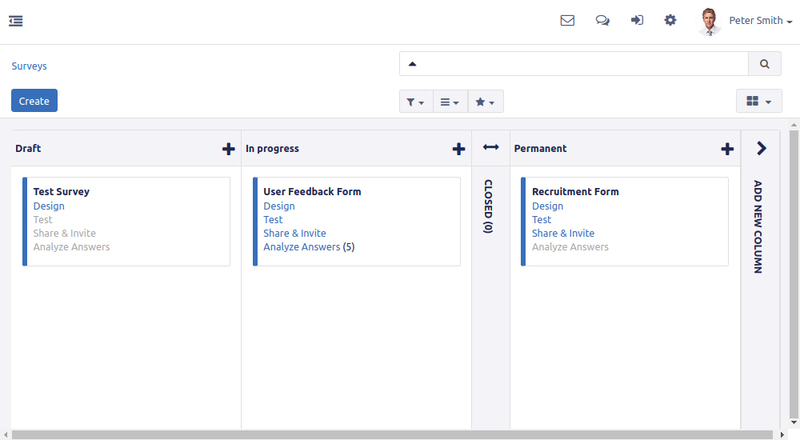 Unlimited survey and forms: Edit your surveys by adding your text and graphics in real time directly within the editable content of your building blocks. Swiftly amend any typos or mistakes! Easy from the start thanks to an extremely user-friendly interface, Odoo Surveys allows you to create and edit surveys with no effort. React to your marketing needs and provide studies anytime. Run your statistics, measure response rates and extract the analysis in a few clicks. Don’t waste time on the process and focus on qualitative and quantitative analysis.